After several years of having “develop a new website” as a task on our to-do list, we’re happy to announce we can now check that one off the list! Wine Ordering and Shipping – We’ve partnered with VinoShipper and are now able to ship our wines to more than 35 states across the country! Simply select the wine you’d like to order, and click “Buy Now” to have it shipped to you or send as a gift to your business associate or that someone special! Event Ticket Purchasing – You no longer have to call and play phone tag with us to sign-up for an event or hope there are enough tickets for one of our hayrides the day of the event. Now you can sign up and pay quickly and securely from our event calendar. Wine Club Sign-up – Say goodbye to mailing in the Creek Club form and wait for the form to get processed in order to become a member of our Wine Club. You can now do it all with one simple click here. We’ll be talking about our new Wine Club in the coming weeks, but we’ve revised the club to be a bit more budget-friendly with even more perks. An Up Close Look at Our Sustainable Practices – You may have heard us say we’re Missouri’s First Green Winery, but have you explored the many reasons why? 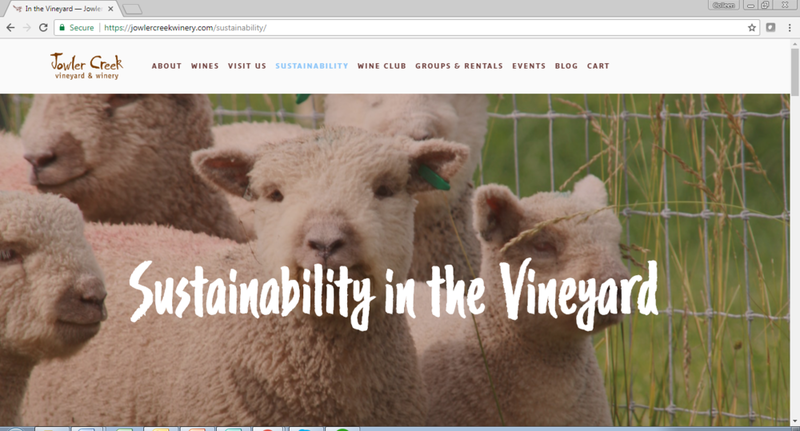 On our new Website you can see and learn more about our sustainable practices in both the winery and vineyard. 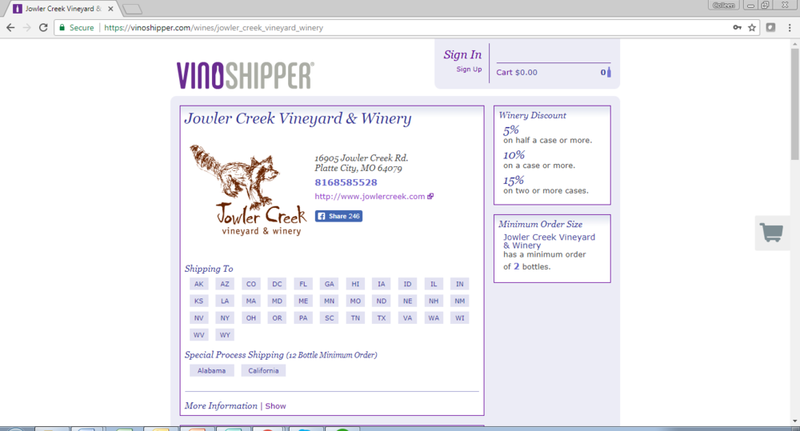 If you have a chance, we’d like to invite you to take a tour around our new site and bookmark it to stay up to date on all the latest and greatest happenings at Jowler Creek Winery. We’ll have lots of exciting new announcements and events coming up in 2018, and we don’t want you to miss out! And, we’d love to hear what you think of our new Website! Please comment and let us know below, or drop us a line to info@jowlercreek.com.